There is a distinct difference in the kind of sound you get from a record. Whether you feel that sound is of a richer or fuller quality is unimportant. 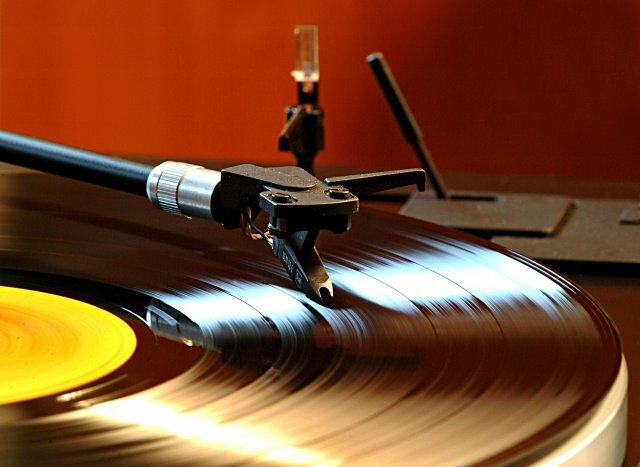 What is important is that in the very act of pulling a record out of it’s sleeve, sliding it onto the table and gently placing the needle into the grooves you are demonstrating a respect and appreciation for the history of music that can only be described as cool. What sets record listening apart is the beautiful way that the experience ends. When a concert’s done, they just turn the house lights on. When a cassette tape finishes, there’s an abrupt click. When your CD or MP3 playlist is over, there’s just silence. But, if your player is old enough, after a record has finished all it’s music, you get to hear that elegant and subtle, rhythmically repeating crackle and thud, crackle and thud, crackle and thud that gently reminds you it’s time to turn it over. Quite possibly the most peaceful sound in the world. This entry was posted on January 19, 2010 at 6:49 pm and is filed under stuff. You can follow any responses to this entry through the RSS 2.0 feed. You can leave a response, or trackback from your own site.